Kirk N. Gelatt, VMD, Dipl ACVO, is Distinguished Professor of Comparative Ophthalmology in the Department of Small Animal Clinical Sciences, College of Veterinary Medicine, University of Florida, Gainesville, FL, USA. Dr Gelatt is past President of the American College of Veterinary Ophthalmologists and the American Society of Veterinary Ophthalmology. 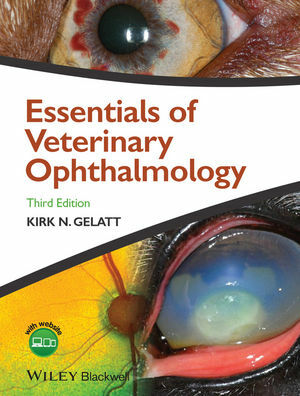 Essentials of Veterinary Ophthalmology website features figures from the book in PowerPoint and review questions and answers.